Sylvie O'Leary has been bearing the grief of her older sister Persephone's death for more than 16 years. The two were close in their teens, and when Persephone secretly started seeing Ben Emory, the mayor's son, Sylvie covered for her. Their single mom Annie forbade both girls to date, and though Persephone was 18, she was forced to sneak out to be with Ben. One winter night, Sylvie locked their bedroom window so Persephone couldn't come back in. Sylvie was tired of covering for her, and she assumed Persephone would ring the doorbell when she returned. Then her secret would be out. She later heard Persephone knocking on their window but feigned sleep and didn't get up for her. Instead, she watched Persephone leave the house and head back to Ben's car. Only she never returned. Distraught, Annie phones the police and her sister Jill who comes to stay with them. When they later receive word that Persephone's body is discovered dumped under a snow bank, a hysterical Annie hides in her room and starts drinking. As long as they could remember, on the 15th of every month, Annie suffered what the girls called "Mom's Dark Days," never knowing the reason for her locking herself in her room and crying uncontrollably. Now, with Persephone's death, Annie's dark days are darker. Of course, Ben is questioned but states Persephone and he had a spat and he drove off leaving her alone on the street. Labeled to be somewhat of a "bad-boy" Sylvie has her doubts about him and his whereabouts with Persephone on the night she went missing, and through the years those doubts never falter. He is soon written off as a suspect, then the authorities question Annie as to her relationship with her daughters, believing she and Persephone may have had an argument that got out of control. "I later learned that Falley was breaking protocol by asking me these questions—not because she felt that the situation was too urgent for all the red tape of recording devices and child psychologists, but because she was, in fact, a young detective. She'd only been promoted to that title six months before, and when she put her hand on my shoulders that day, they were shaking. '''Sylvie,' she said, 'do you understand what I'm asking you?'" Sylvie believes Persephone would still be alive if only she had opened the window for her, and she shoulders the burden of guilt of losing her sister. Soon Sylvie's connection with Annie becomes intolerable and she moves in with her aunt Jill. After high school, she leaves Connecticut to attend college and live in Rhode Island. Now, years later, after Sylvie's life is in Rhode Island as a tattoo artist, not a career she aspired to while attending Rhode Island School of Design. Jill summons Sylvie home to care for Annie who is undergoing cancer treatment. Sylvie does not want to return but feels she is obligated to do so. But she wants answers, too. What exactly happened to Persephone that night? Who killed her? Thinking it was Ben she confronts him and realizes he is still grieving over her loss. Conversation with her distant mother brings no resolution and though the case is still open, it is now very cold. Sylvie finds it hard to come back to her birthplace and her estrangement with her mom. Can she and Annie mend broken fences? Can she dispose of the culpability she's been carrying around all these years for Persephone's death? Will Annie confide in her and regain a closeness they lost? The emotion between mothers and daughters is a tenuous thing and sometimes it can be broken beyond repair, yet other times a new understanding can arise. It is hard to show vulnerability and that is why many build walls around themselves. 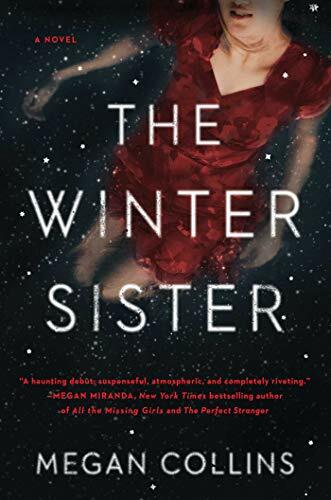 Familial bonds are shattered, hearts are broken, and secrets are withheld until the ugly truth is exposed, making The Winter Sister a mesmerizing and complex thriller.